Managing temperature and moisture in your RV can be a challenge, particularly as you travel between climates. Too much humidity can cause problems like mold, rust, and allergies. Too dry of a climate can cause discomfort from dry skin rashes and drying out the sinuses, although rarely affects RV performance. Those RVing with pets or who work on the road need to be particularly concerned with the climate in their RV as tools and electronics can corrode and pets can have health issues related to humidity and temperature. Govee is a new smart home company that specializes in research and development of artificial intelligence and intelligent hardware. More than 60% of the 200 employees are tasked with research and development of new products and interfaces. Govee’s mission is to provide better products through connectivity and smart technology, such as smart LEDs, smart sensors, and home security. One of Govee’s products is a WiFi thermometer-hydrometer that is compatible with your iPhone/Android smartphone. This device monitors indoor temperature and humidity and can give real-time data even if you are not in your RV. 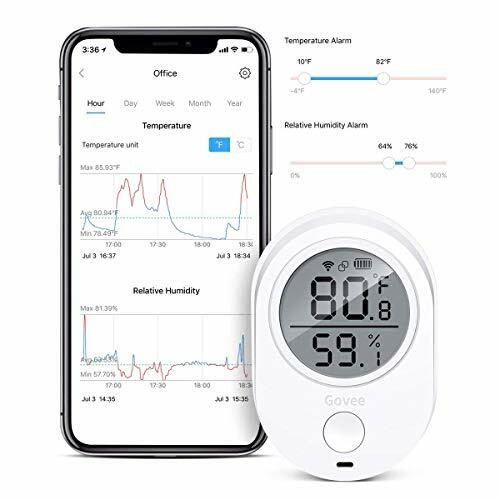 The WiFi thermometer-hydrometer was developed by one of Govee’s employees who worried about his dog, named Foamy, spending the day at home while he was at work. He used a camera to watch his dog and thought it would be an added benefit to be able to monitor the environment to ensure Foamy was comfortable and not getting too hot during the summers. Many RVers will relate to this situation during times that they may not be able to take their pets with them (such as in many National Parks). 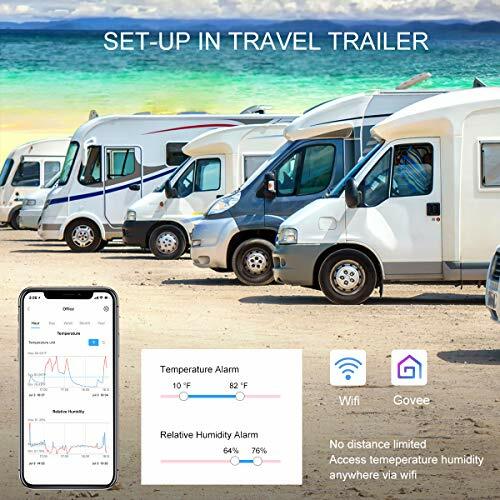 Being able to monitor the humidity and temperature in your RV and ensure your pet is comfortable can give you more freedom to go for a hike and explore an area with less worry. The Govee device includes a highly sensitive Swiss sensor and an App system that has been specially developed. The App is easily set up and allows for real-time monitoring as well as the ability to set specific alerts that are sent directly through the App. The folks at Govee are continually working to improve and add to their product line, and take pride in their rapid response to customer inquiries and solutions to customer’s needs. RVers may also be interested in the Govee wireless security system.